Sonoma chicken salad pitas are a fresh and addictive way to make lunch even more delicious. 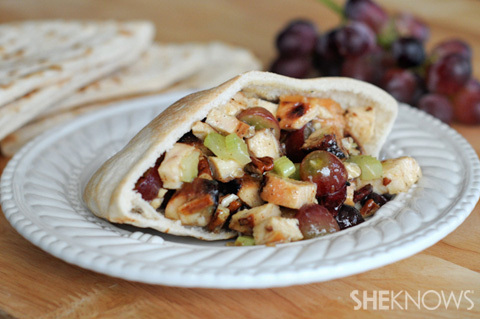 Chicken breast, grapes, onions and walnuts are tossed in a light dressing and stuffed into a perfect pita pocket. Chop the chicken into bite-size pieces, or shred if desired. 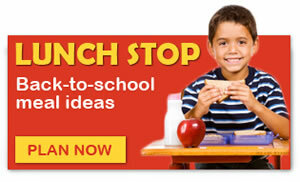 In a large bowl, combine the chicken, grapes, celery, cranberries and pecans, mixing to combine. In a smaller bowl, whisk together the vinegar, oil, honey, Dijon mustard, salt, onion powder and black pepper. Pour the dressing on top of the chicken mixture and toss to coat. When ready to serve, split the pitas into pockets and fill generously with the chicken salad mixture.